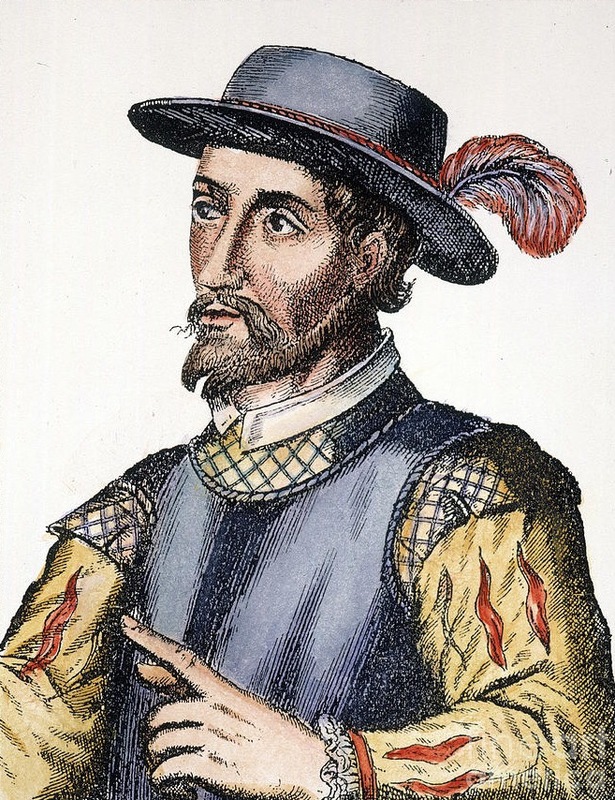 In 1565, Don Pedro Menéndez de Avilés established St. Augustine. 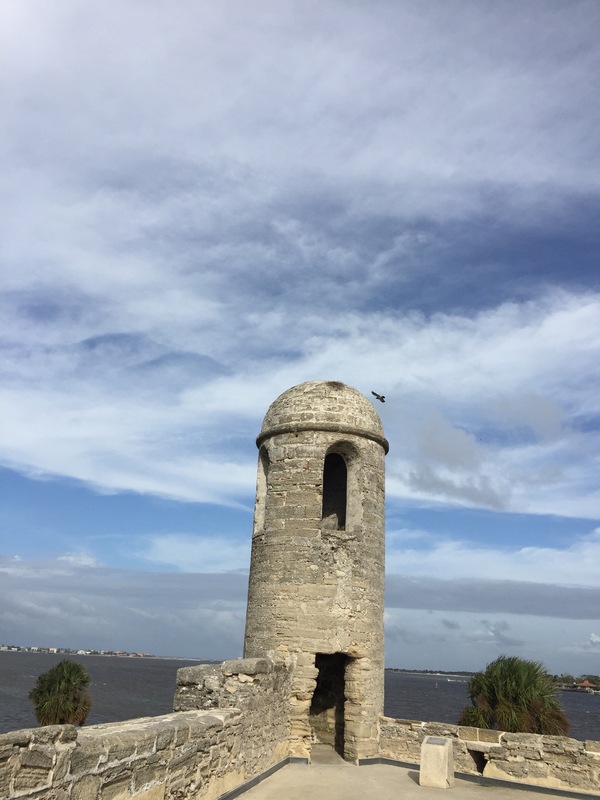 It is the oldest permanent European settlement in the Americas. 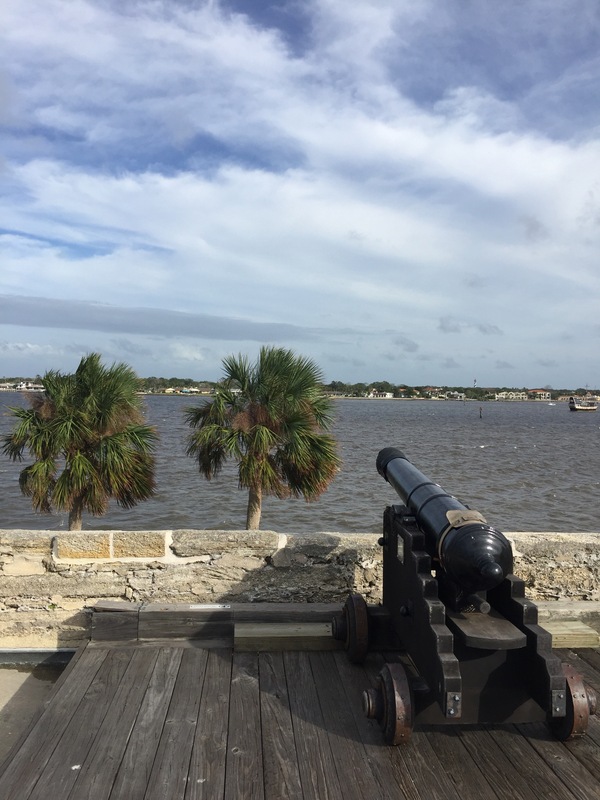 Before St. Augustine, the French had a settlement in Florida called Fort Caroline. This was a great threat to the Spanish New World trading (more like taking) of gold with the indigenous peoples. 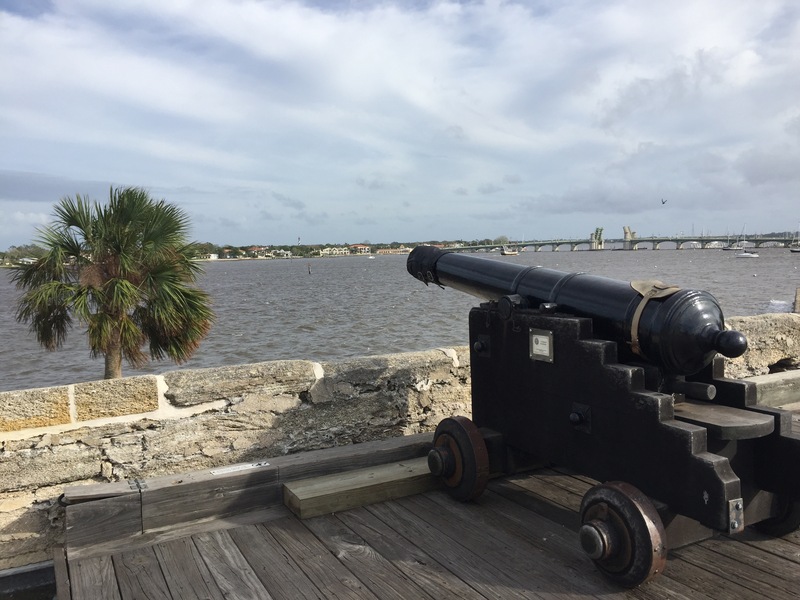 To protect its wealth from the French, pirates, and the like, so they conquered Fort Caroline. This made Florida a safe place for the Spanish. 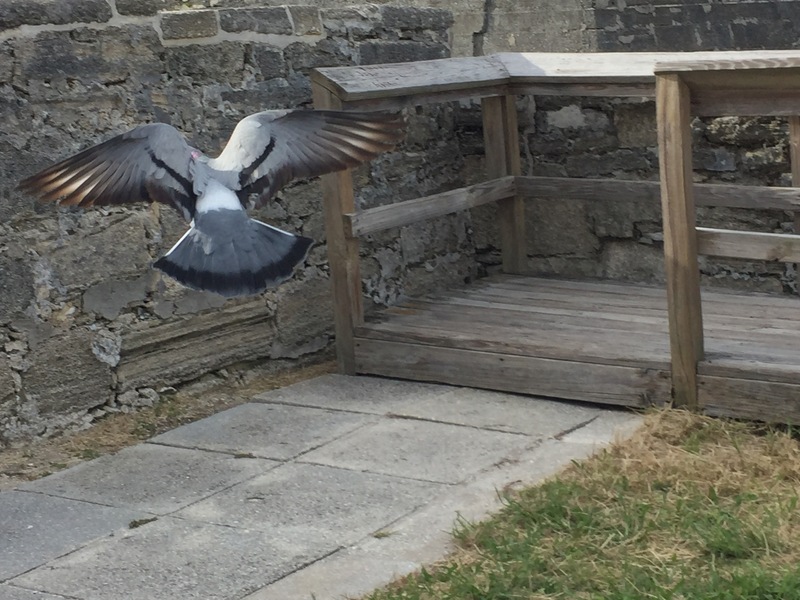 When we were in St. Augustine we visited the Castillo de San Marcos. The Castillo was a military fort for the Spanish that would prove to be valuable to many over the years. In 1672 the ground is broken and the building begun for the Castillo. In 1695 it is pretty much finished. Then the Spanish get into a war in 1702 and turn against Great Britain. St. Augustine is burned by the Carolinians in 1702 as well, but the Castillo resists the siege from them. So, the Castillo (and Florida) are owned by many over time including, the Spanish, British, and America. In 1763 the Spanish give Florida to Great Britain because this was before the American Revolution. Castillo de San Marcos is renamed Fort St. Mark. Next, in 1783 America’s independence is won and recognized so Florida is returned to Spain. Finally, in 1821 Spain relinquishes Florida to the United States. And if you were wondering, the original name- Castillo de San Marcos- was restored in 1942. I really recommend visiting St. Augustine. It was full of history and had lots more to offer than we could see. There are three castillos and we only saw one. All of them are National Monuments so they should be well preserved and full of facts. 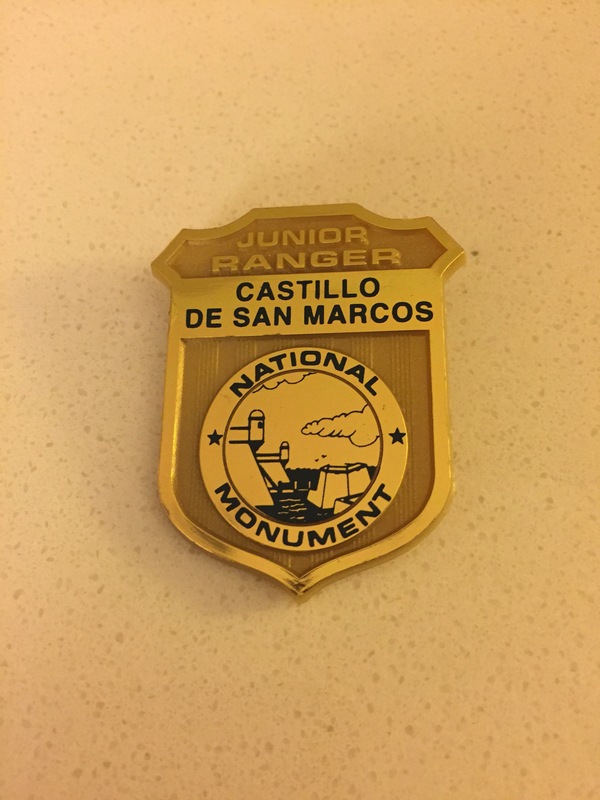 Julie and I are also now official Castillo de San Marcos Junior Rangers! Whoo hoo! Oh! 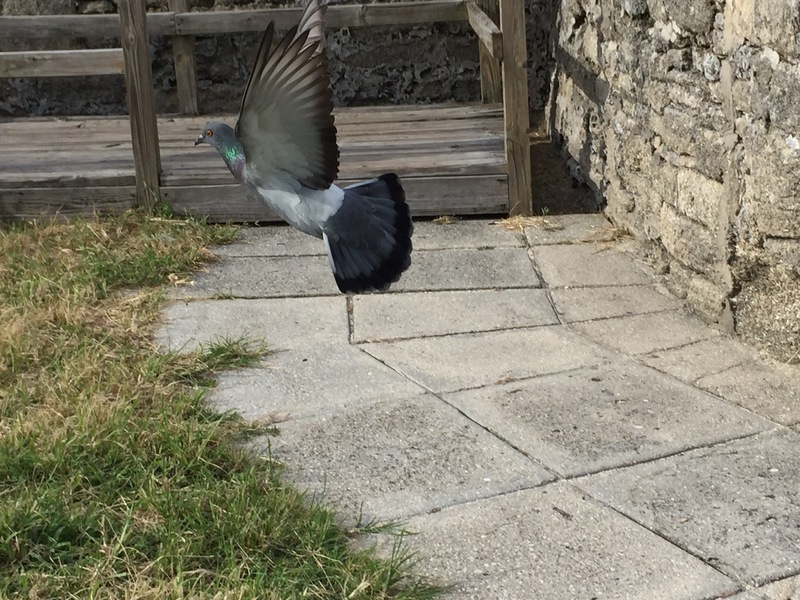 Before I forget, yes, St. Augustine has flying rats (some call them pigeons). I learned a lot from this post! You acquired a lot of knowledge about Florida that I had either never heard and/or had forgotten, thank you! 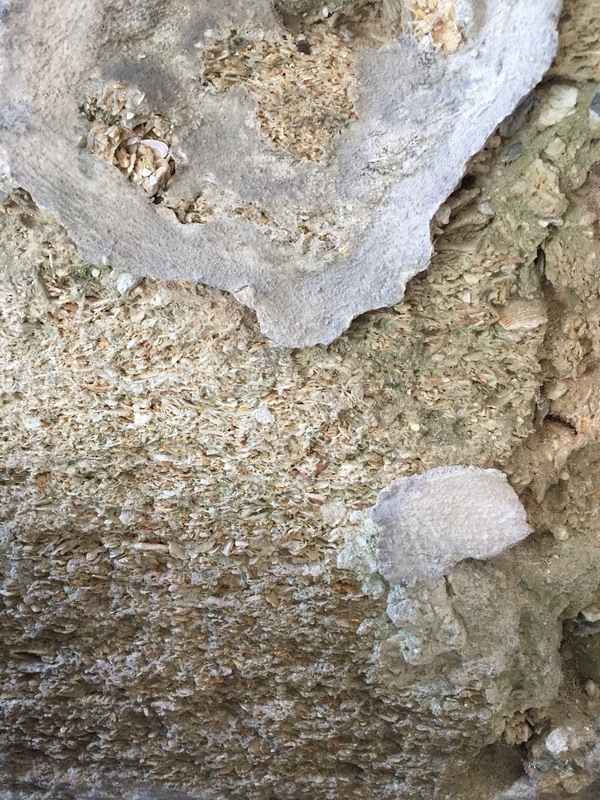 Sounds like it was an interesting place to visit and I loved that you mentioned that the castillos were built from a special sedimentary rock. I used to teach High School Earth Science and geology is one of my favorite subjects so I love hearing about rocks. You’ll have to tell me if you hear about any other cool rocks on your trip. We’re looking forward to seeing you soon!